How do you feel about your face? Are you comfortable in your own skin? Do you go makeup free with confidence. If these questions make you squirm a bit you might be wondering about ways to tap into the fountain of youth. Years ago I tried Botox for the first time. Now I&apos;m coming clean about my Botox beauty secrets. Why Botox? 100% vanity. Botox is the beauty secret that can really turn back the clock without a lot of downsides (and I will talk about those). I&apos;ve got mixed feelings about injectables and fillers. I won&apos;t judge what other people do, but for me, I want to make the most of what I have. Botox makes me look like me, not anyone else. I guess that&apos;s where I see the difference. Nipping, tucking and adding things, not for me (but let&apos;s check back on that when I&apos;m in my 50&apos;s!). It&apos;s part of my overall skincare routine and I&apos;m happy with the results and how I look with a makeup-free face. When it comes to invasive beauty treatments, right now, Botox is as far as I will go. I&apos;m not alone. According to the American Society of Plastic Surgeons, in 2015 over 6.7 million Botox procedures were performed. Why do so many women rely on this anti-aging beauty secret? It&apos;s non-invasive, relatively inexpensive, and requires little down time. When I turned 40, I started doing some research. I read about the ease of use. I talked to friends who had tried it, and then made the leap. It turns out, 40 is on the late side. Many women start in their late 20s to prevent wrinkles in the first place. Why did I take the leap to Botox? I was relatively lucky. 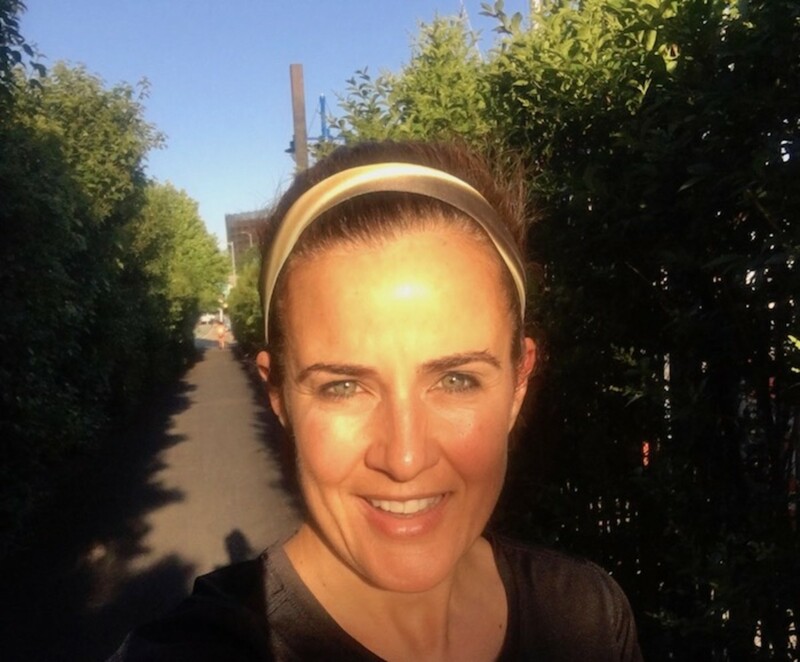 My skin has kept pace with the rest of me, but I did start to notice lines on my forehead and between my brow. I wanted to avoid Nicole Kidman "frozen face" but wanted to tap into Julia Roberts eternal freshness. I started small. I asked for the tiniest dose the first time. It was a few pricks and I was done. No bleeding, no swelling, no bruising (but all those things CAN happen, I&apos;m just sharing my personal experience). I recommend finding doctors that listen and aren&apos;t too aggressive. Dr. Leonard Hochstein, Board Certified Plastic Surgeon of over 20 years says, “When you’re starting out with any procedure it’s important to go gradual and keep things as natural as possible.” says Dr. Hochstein. Remember more Julia Roberts, less Nicole Kidman (and I have no idea if either actress actually uses Botox). I can&apos;t say needles in your forehead are pleasant. It&apos;s not a facial friends, it&apos;s an injection. Definitely use the ice pack the doctor gives you right after the injections. Dr. Hochstein says, “Everyone reacts differently, given skin color, texture, and injection site. It is important you get a real expectation,” explains Dr. Hochstein. Ms. Titova, suggests taking arnica tablets starting two days before treatment to reduce any bruising at the injection site can be very helpful. My personal experience with Botox has been good. It&apos;s now part of my skincare routine (I also regularly use Skin Laundry). Now I go 2x a year for a "refresher" and this pace seems to work for me. Dr. Hochstein says everyone takes to Botox differently but on average the result lasts 2 to 6 months with 4 months being the most common. The person administering should be able to gauge anticipated results depending on area so you know what to expect before committing money and time. “Botox done to smooth deeper wrinkles like frown lines and crow’s feet often see them return within 4 months because it’s such a repeated expression,” explains Ms. Titova. I&apos;ve never tried Botox on the eye area (I kind of think my crow&apos;s feet are cute). I talked about bleeding and bruising. That can happen, but hasn&apos;t to me. In the years I&apos;ve been going, I&apos;ve had two times where the treatment seemed uneven. I returned to the office and added a few additional injections to straighten things out. And everything turned out fine. What else can go wrong with Botox? Your eyelids can get droopy. I had this happen one time. A little too much on the forehead and my eyelids became very hooded. The doctor made a note and it didn&apos;t happen again. As you can see, it seems to be equal parts art and science. I&apos;m going to tell you the patch story. Years ago a friend was participating a bit too much in Botox. Something went awry and she had a eye droop to almost closed. She had to wear an eye patch for a few weeks. Yep, she looked like a pirate. I assume everything is always more expensive in NYC. I pay about $500 per visit. The average cost is between $300 and $900, but again, doctors in major cities with cosmetic surgeons who perhaps treat celebrities and socialites are good at what they do and their rates will reflect that. Start in your 30&apos;s before things get really wrinkly. Start small. Less is more. Find out what works for you. Since I started, I&apos;ve been visiting the same practice, called SmoothMed. I always remind them of what I want EVERY time. I never assume they remember my requests. COMMUNICATE! Tell your doctor your fears. Let her know what you want. 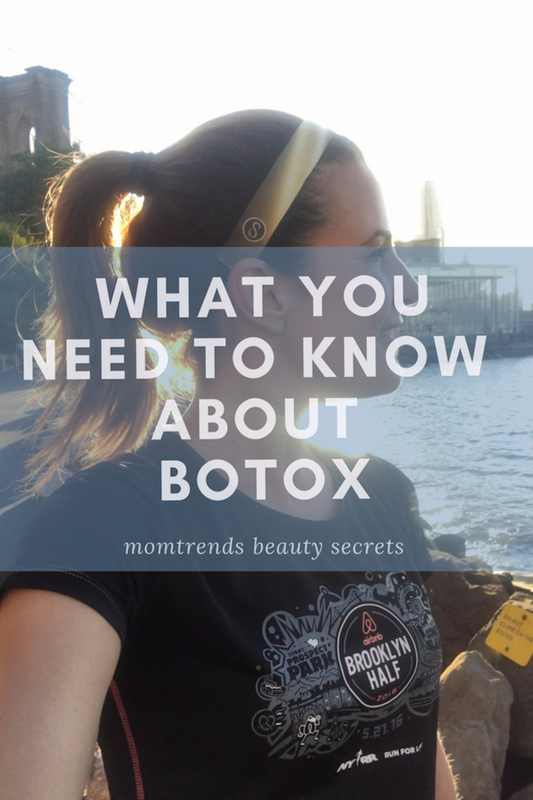 Please let me know if this Momtrends guide to Botox has helped you. What else do you want to know?